Aptly named the Tulio (Tullio Campagnolo invented the quick-release), this multi-use tool fits on a quick-release. Recently I wrote about innovation and technology in the bicycle industry and where it’s headed. Lately I haven’t seen much to get excited about, until now. First, a simple quick-release has been turned into a multi-purpose tool. The Pedro Tulio isn’t available yet, from what I can see, but it’s something I plan to buy. Cost is about $30-$40. You really have to see it in action to understand what I’m talking about. It’s a clever design and something the minimalist cyclist will appreciate. 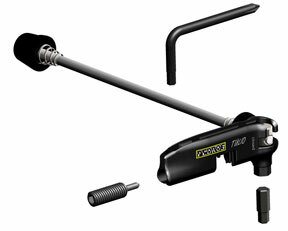 The quick-release skewer incorporates these tools – L wrench, 4-5-6-8 mm hex, chain tool, flat head driver, and two spoke-wrench sizes. Weight is 99 grams. Next, we have the Cannondale Simon, a sophisticated electronic suspension. On the Web, you’ll find numerous interviews with Stanley Song, lead engineer for the Simon. He speaks eloquently about the technology and, based on his comments, it has applications yet to be identified. It uses an accelerometer, a technology that turns ho-hum games on the iPhone into something more enjoyable. Of course, it’s the key technology in the Nintendo Wii. Mountain bike riding is a different animal from road riding, and suspension becomes all-important off-road. The Simon promises to react to bumps in 8 milliseconds, enough time for it to adjust the suspension to the ideal setting. These inventions were revealed at Interbike, the primary trade show for the cycling industry, which takes place in the fall in Las Vegas. This entry was posted on March 15, 2010 at 2:11 am and is filed under Products. You can follow any responses to this entry through the RSS 2.0 feed. You can leave a response, or trackback from your own site.